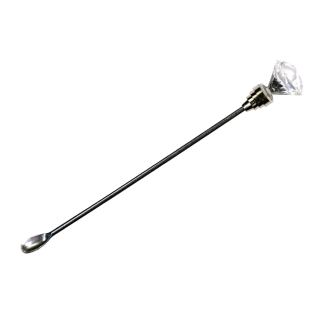 A gorgeous crystal/diamond stir scoop stick for mixing polishes, gels, powders etc. 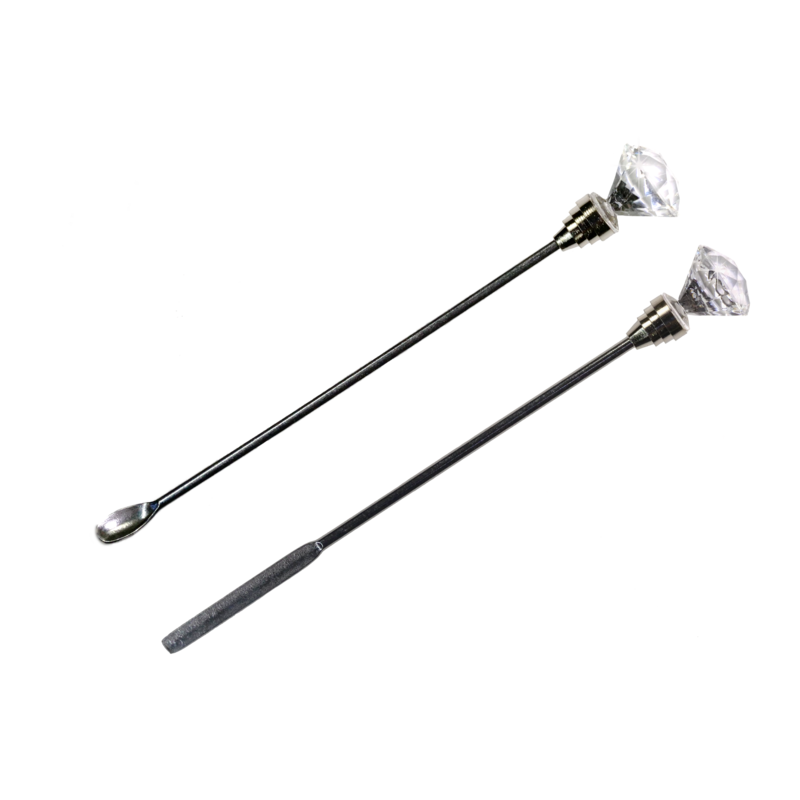 A gorgeous crystal/diamond scoop stick and spatula for picking up and mixing polishes, gels, powders, pigments etc. 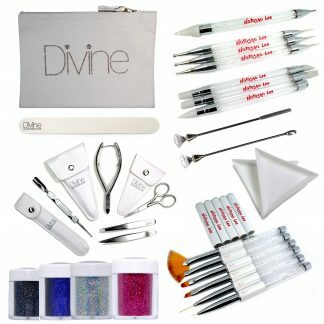 Easy to wipe clean and eye catching diamond tip design looks beautiful on you desk or in your nail kit. 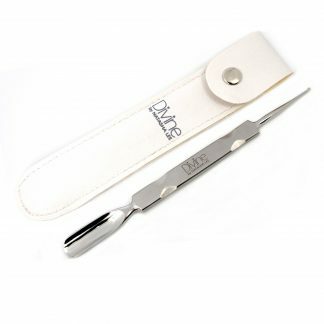 Care advice for optimum performance and longevity: Clean your Diamond / Crystal tip with a either a cloth and water, or a gentle baby wipe to protect the appearance. 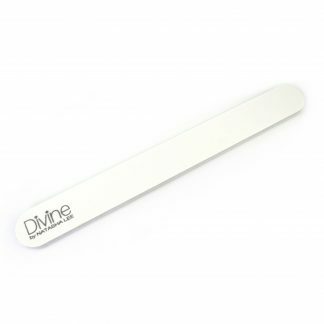 Acetone and alcohol can negatively affect and potentially damage the finish of the diamond.. To remove nail polish from the metal scoop/spatula use a pad dampened with nail polish remover or acetone and wipe the spoon/spatula on the pad until all polish residue is removed. Be mindful not touch the diamond decoration with remover. To remove gel polish from the metal scoop/spatula use a pad dampened with Isopropyl Alcohol or Acetone and wipe the spoon/spatula on the pad until all polish residue is removed. Be mindful not touch the crystal diamond decoration with IPA or Acetone.